Philipp Stubenrauch, born in 1978 in Mainz, began playing the piano at the age of six. When he was 13, he held a double bass in his hands for the first time. After completing secondary school, he initially studied at the Music Academy in Frankfurt with Günter Klaus, then in Munich at the Academy of the Symphonieorchester des Bayerischen Rundfunks. Finally his studies took him to Geneva, where he was a member of Franco Petracchi’s soloist class. 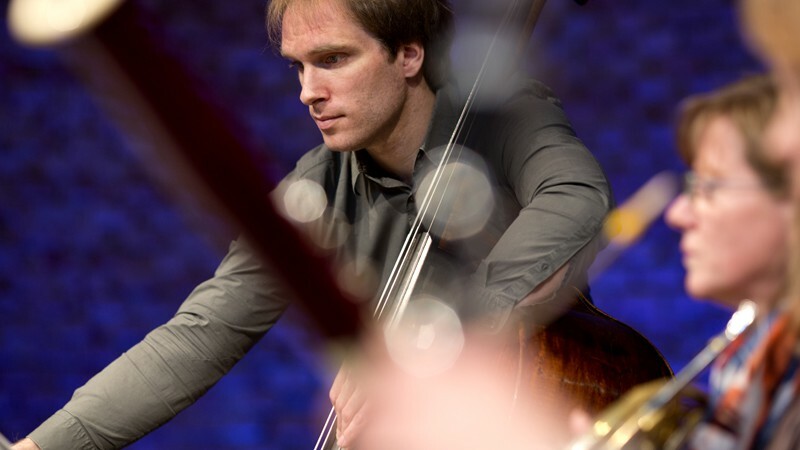 In 2004 he completed his diploma in Frankfurt and thereafter was engaged as principal double bassist by the Symphonieorchester des Bayerischen Rundfunks, with which he played the Concerto for Double Bass and Orchestra by Johann Baptist Vanhal under the direction of Chief Conductor Mariss Jansons in 2009. Philipp Stubenrauch has won two separate awards from the German federal “Jugend musiziert” Competition, a second prize at the “Júlio Cardona” Competition in Portugal and 2005 at the Markneukirchen Music Competition. He gained orchestral experience in the German Federal Youth Orchestra, the Young German Philharmonic and in the Gustav Mahler Youth Orchestra. Meanwhile he himself is a regular instructor for the Bavarian Youth Orchestra. Beyond this, he also teaches at the Academy of the Akademie des Symphonieorchesters, at the Munich Music Academy and receives invitations to give master classes all over the world. Philipp Stubenrauch is a co-founder of the nonSordino Ensemble and a member of the Clemente Ensemble. Further chamber music partners include Valery Afanassiev, Maria João Pires and Maximilian Hornung. In 2014 a CD was released with chamber music by Sofia Gubaidulina, on which he can be heard with Wen-Sinn Yang, Franz Halasz and Hariolf Schlichtig. Philipp Stubenrauch plays an instrument built by Giuseppe Guadagnini in Como in 1780.